Calvin N Clark, born in Gainesville, FL, on March 25, 1930, fought the good fight and finished the race on Saturday, December 1, 2018, surrounded by his loved ones here as he was welcomed into eternity by his beloved Savior and all his loved ones there. 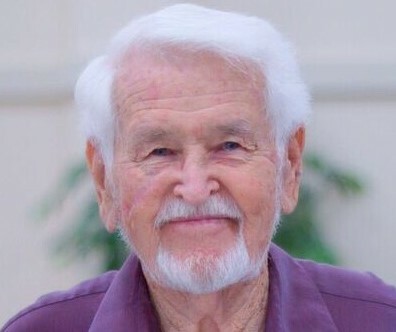 A faithful and loving husband, father, grandfather and great grandfather, civil servant, and entrepreneur, Cal’s warm smile, tender heart, and quick wit will be greatly missed by all who knew him, especially his friends and family. A visitation with the family will be held at Heritage Gardens Funeral Home on Thursday, December 6, from 6-8pm, and Funeral services will be held at First Baptist Church of Niceville, on Friday, December 7 at 11am. In lieu of flowers, please donate to the First Baptist Church of Niceville Building Fund or to the Florida Baptist Children’s Home, in Cal’s honor.